1. Open the package and check whether the integrated solar street light components are complete. 2. Plug the waterproof connector in the rear seat and lock the nut. Then wrap the waterproof joint with PVC sleeve and put it back into the back seat to avoid being crushed when the pole is installed. 3. Before installation, check whether the integrated solar light can be turned on. The detection method is to put the solar panel of the lamp on a smooth and flat ground or grass, to simulate the night brightness effect, or to block the darker cardboard. If you live in a solar panel, if the light is on, you can proceed to the next step. If the light is off, please confirm whether the cable is plugged in or whether it is effectively blocking the solar panel. 4. After confirming that the integrated solar light is on, as shown in the figure, the solar lamp is placed in the light pole, the lamp head is facing down, the solar panel is facing upward, and the anti-theft screw is fastened with a special anti-theft wrench tool to ensure the light between the lamp and the lamp post. It's ok.
5. If installing this product in the northern hemisphere, try to make the solar panel facing the south as much as possible to obtain the maximum light energy; if it is in the southern hemisphere, the solar panel faces north when installed. 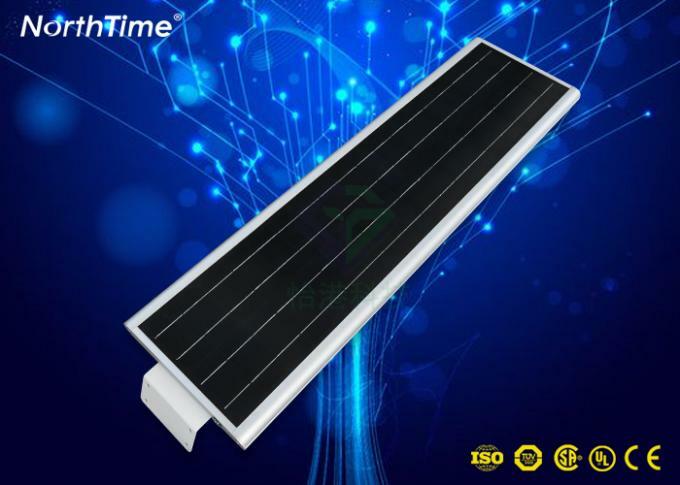 At the same time, it is necessary to avoid the shadow of obstacles such as houses and trees, which will reduce the power generation efficiency of the solar panels, resulting in shortened working hours. 6. 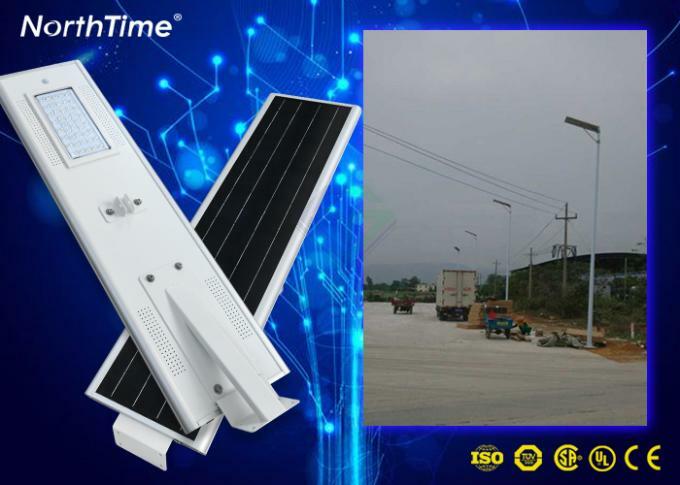 The cleanliness of the surface of the solar integrated street lamp solar panel will also affect the power generation efficiency of the solar panel. Therefore, the surface (such as dust, leaves, oil, etc.) needs to be cleaned. It is recommended to wash it with ordinary detergent for about half a year. can. 1. 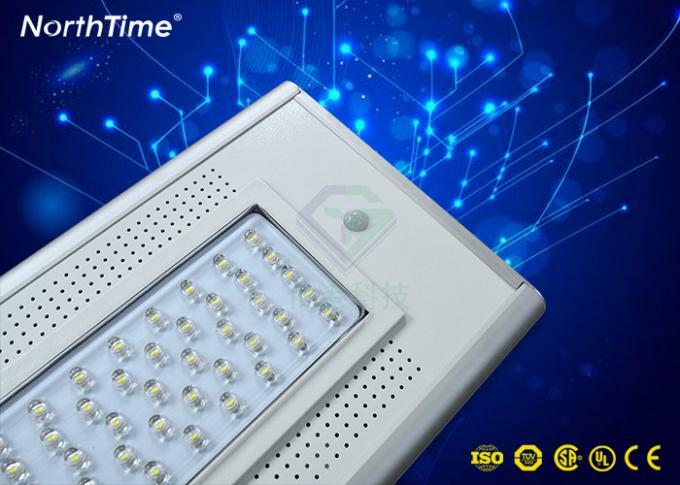 How does LED make white light? There are usually two ways to make a white LED. 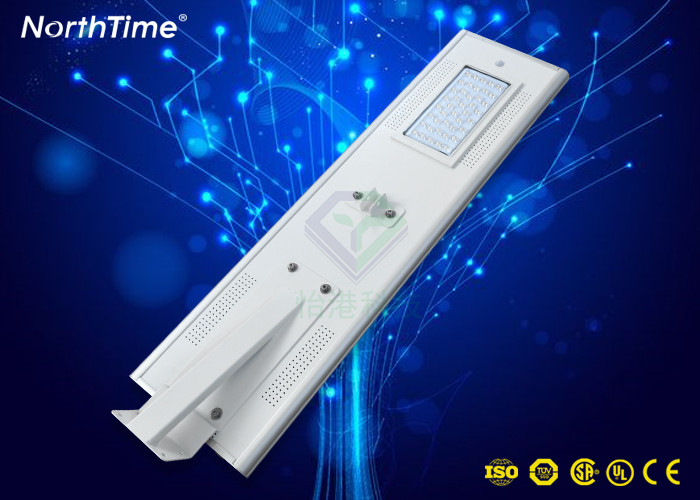 The first way is to mix a variety of different wavelengths of LEDs to emit white light (for example, RGB), allowing the luminaire designer to adjust the white light at a particular color temperature. The second way is to create white light with blue indium gallium nitride (InGaN) plus phosphor powder. This method is the white LED we usually see. 2. What is the illumination of the integrated solar street lamp? 3. What does IP65 for integrated solar street light mean? ELECTROTECHNICALCOMMISSION) was drafted to classify electrical appliances according to their dust and moisture resistance characteristics. The first digit indicates the level of dust and electrical protection of the appliance. The second digit indicates the degree of airtightness of the appliance against moisture and water ingress. The higher the number, the higher the degree of protection.